Pretend princesses have nothing on these ladies. 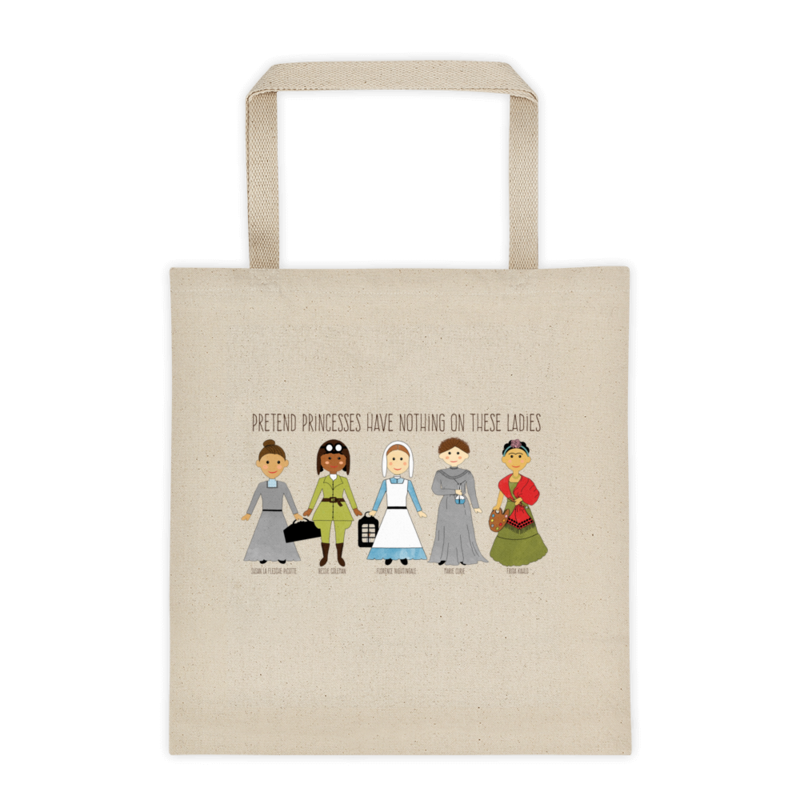 This inspiring 12 ounce canvas tote bag features Susan La Flesche Picotte, Bessie Coleman, Florence Nightingale, Marie Curie and Frida Kahlo. 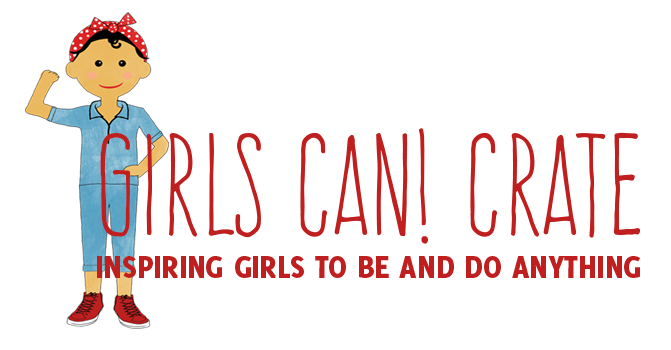 Please note: Tote bags ship differently than crates, please allow 2-3 weeks for your bag to arrive.